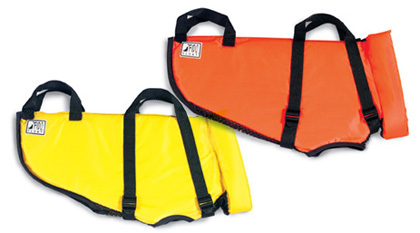 The Fido Float Swim Aid offers superior comfort and safety for dogs in and around the water. Conditions that cause a dog to fall into the water may also impair his swimming ability or prevent humans from getting him out of the water. The Fido Float fulfills a need to keep dogs safe in the water. The Floats provide added buoyancy for swim support, strategically placed assistance handles help lift dogs out of the water, and the bright color panels ensure your dog's visibility on or off shore.Straps adjust to fit snugly and handles assist in lifting pet from the water. 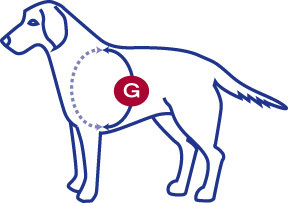 The Fido Floatation vest increases endurance and makes boating safer for dogs. Reflective label and bright colours aid visibility. * Please note orange only.